In service management, upstreaming refers to a direction toward which the delivery and support of a service could be completed by an organization or department upstream in the tier structure of support and delivery. Too often, we find that organizations are stuck in a “downstream mode”. Maybe because they believe that upstream-tiered organizations like the service desk lack the skills and capabilities to deliver and support their services. Or it could be that the service desk does not feel as if they have the necessary personnel and knowledge to handle the upstreaming? Or could it be that the organization believes that upstreaming would be too expensive and inefficient? How can you make upstreaming a reality in your organization? One of the key elements of doing such upstreaming is to automate the delivery and support of services within the service management tool. Another critical element is the passing of knowledge. The passing of knowledgebuilds the competency, confidence and skills of Tier 1 support and consumers. 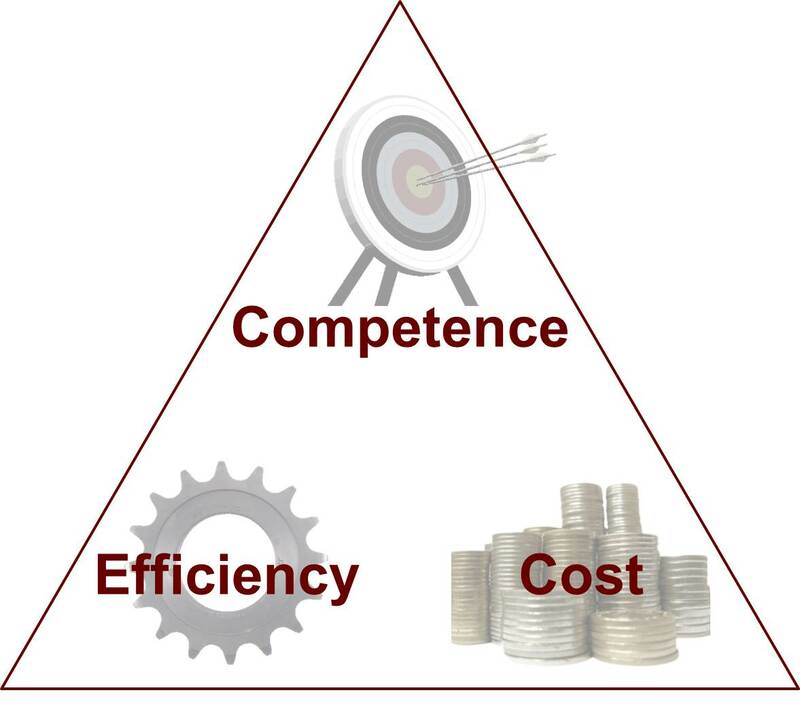 By building this confidence, the organization will naturally evolve so that Tier 3 and Tier 4 can remove themselves from front line support and focus on their jobs of innovating and focusing on their subject matter.Whatever the case may be, the goal of service management organizations should be to upstream as much as possible to Tier Zero/self-help or to the Tier 1 Service Desk. While it may seem counterintuitive, having subject matter experts and innovators delivering services and supporting incidents is simply not efficient, and is very costly for the business. 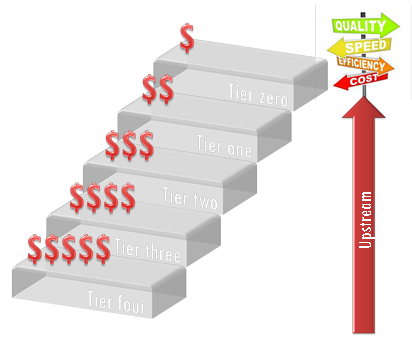 When executed correctly, the upstreaming model creates a more competent organization, while both lowering costs and gaining efficiency. The model to the left depicts that the cost of service ownership or departments who perform delivery and support of their services is not always the most cost effective model. Traditionally in service management, self-help is the cheapest form of delivery and support, getting incrementally more expensive moving down the tier structure. Build competence and knowledge, save money, and gain efficiency: get your team moving in the right direction through upstreaming.